1916 Art prizes presented at Iveagh House. Prizes for literature, music and art offered by the 1916 Golden Jubilee Commemoration Committee were presented by the Minister for Education Mr. George Colley T.D. at a ceremony at Iveagh House, Dublin. 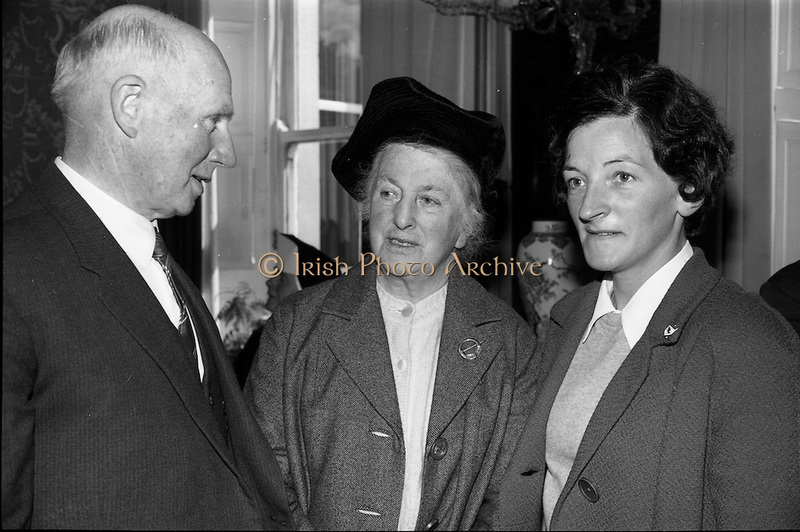 Picture shows (l-r): Mr. Florence O'Donoghue, Loughlene, Eglantine Park, Douglas Road, Cork, who won a prize of £200 for his literary work "The failure of the German Arms landing at Easter 1916 - a new interpretation" with Mrs Florence O'Donoghue and Miss B. McCoy, Douglas Road, Cork, after the ceremony.